Tony graduated from the University of Witwatersrand in Johannesburg in 1998 and completed his radiology training in 2006. In 2008 he moved with his family to Western Australia and in the same year he joined Perth Radiological Clinic. 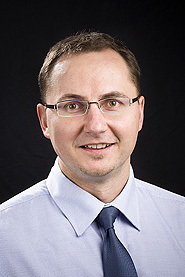 He is the Lead Radiologist in Charge of Perth Radiological Clinic’s Morley branch. Short overview about Spinal TRICKS MRA: Sept 2007: South African Journal of Radiology, Vol 11 #3. Endovascular Stent Grafting of Traumatic aortic arch pseudo-aneurysm: July 2008: South African Journal of Radiology, Vol 12 #2.